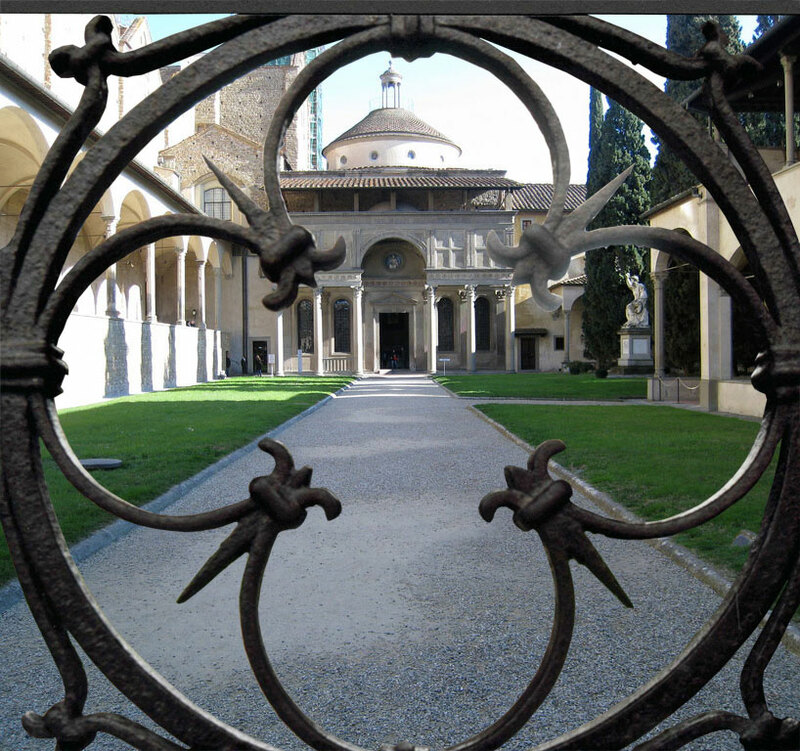 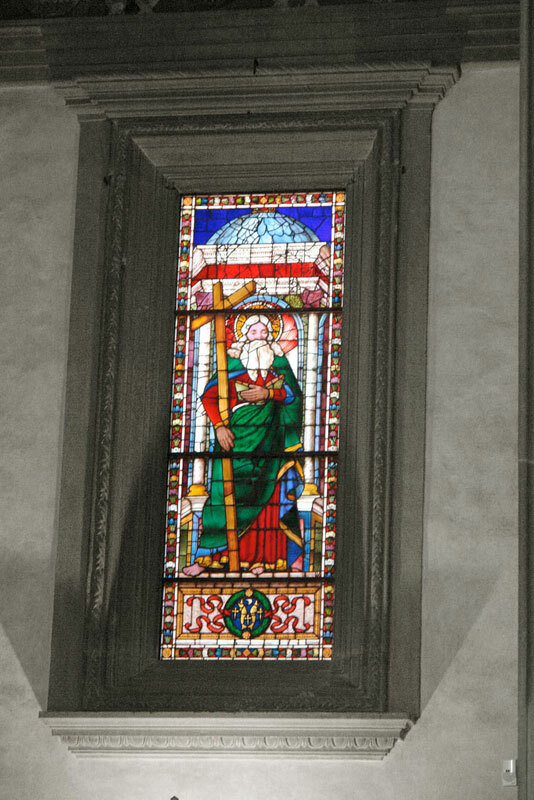 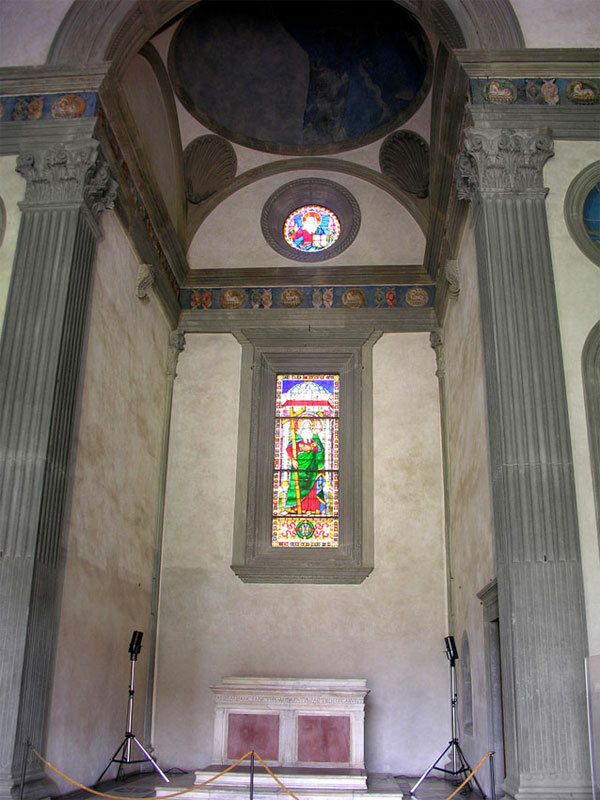 In the picturesque cloister to the side of the Church of Santa Croce one finds one of the greatest works by Filippo Brunelleschi: the Pazzi Chapel. 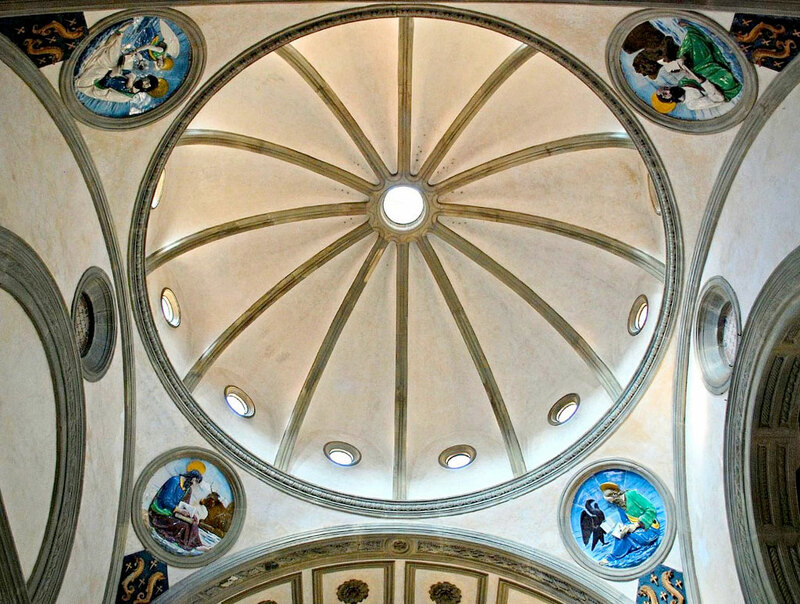 It dates from just three years before the death of the architect (1443). 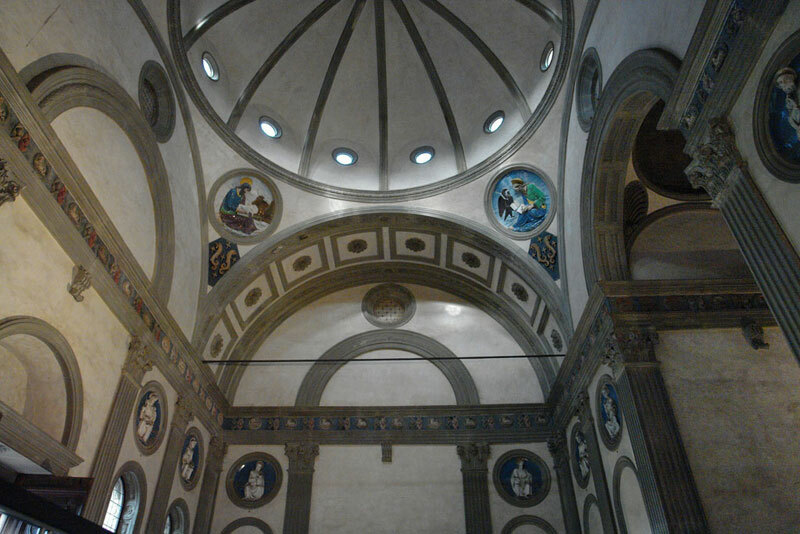 The plan of the chapel is again the circle and the square. 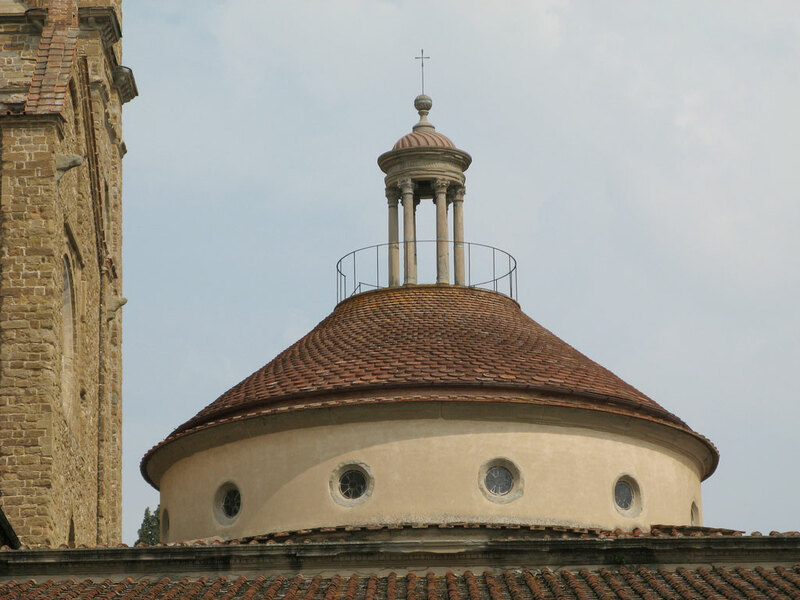 A rectangular base is covered with a conical central dome supported by fine "veiled" vaulting that one also finds in the porch. 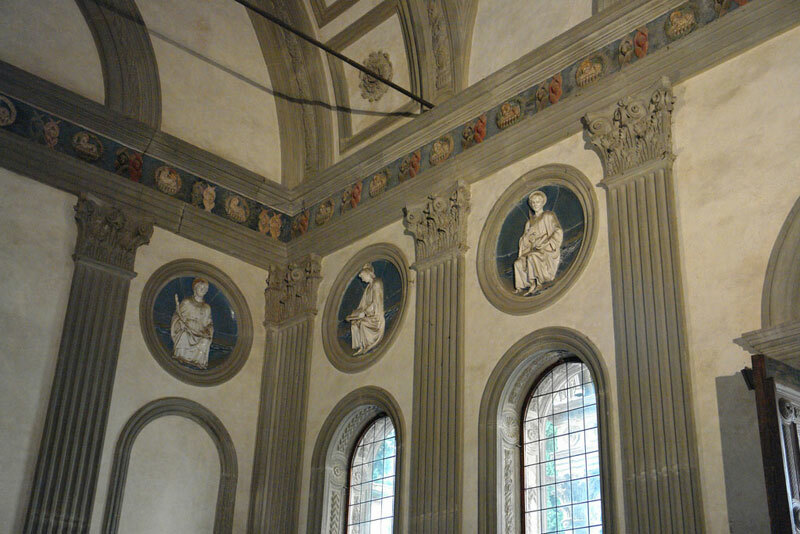 The spaces are divided up with a geometric lucidity; the white intonaco (plaster) of the walls is in the cool contrast to the pilasters in grey "serene" stone, and the beautiful decorations in glazed terracotta which adorn the interior are by Luca della Robbia. 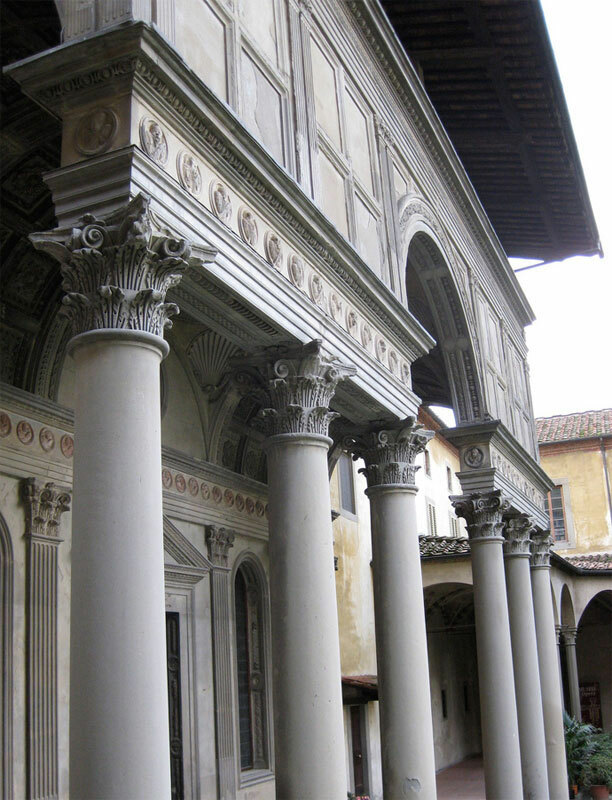 It is considered to be one of the masterpieces of Renaissance architecture. 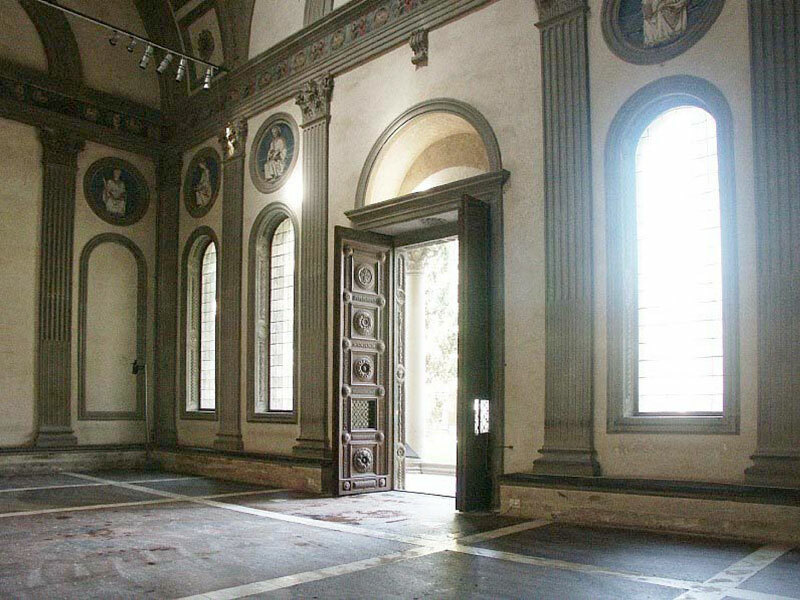 In the same courtyard there is the long refectory housing the dramatic CRUCIFIX by Cimabue dating from c. 1270 (see Opera St. Croce Museum). 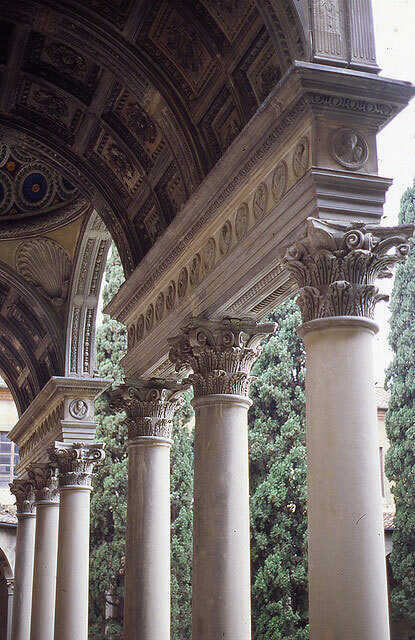 This was the work of art most damaged in the flood of 1966. 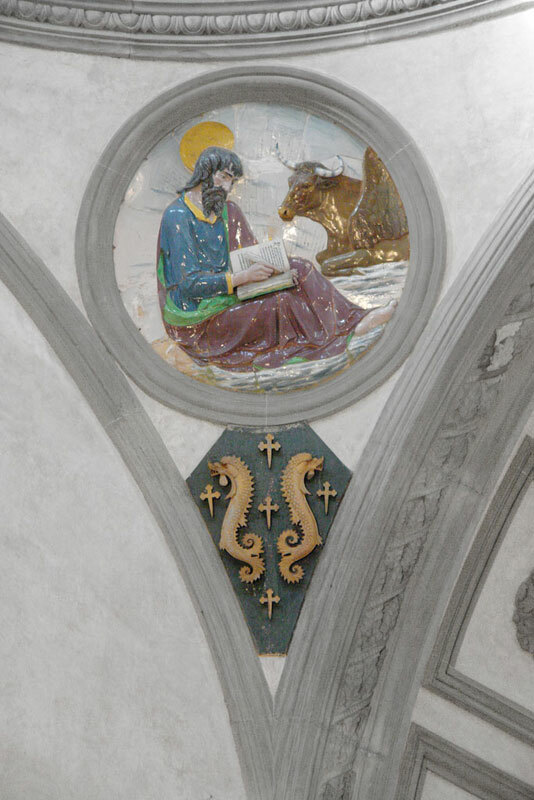 Ten years time was necessary for the restoration of the panel painting, after lying immersed in the mud for an entire day. 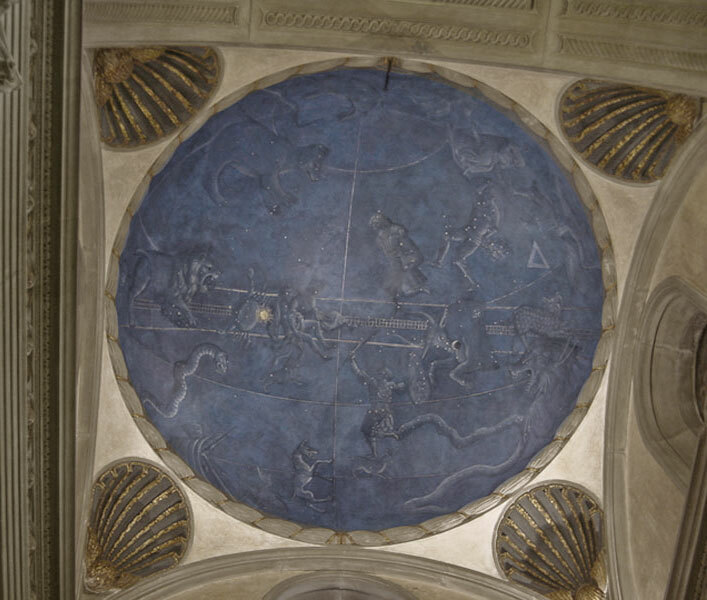 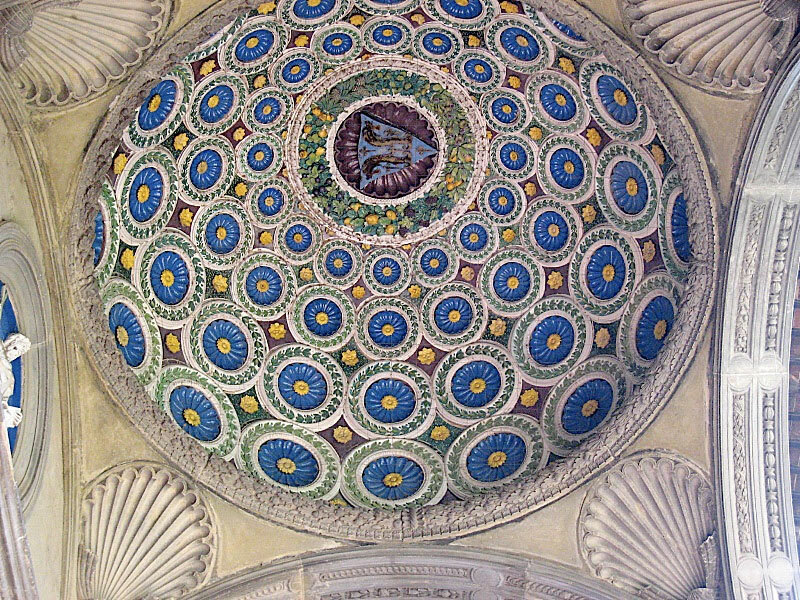 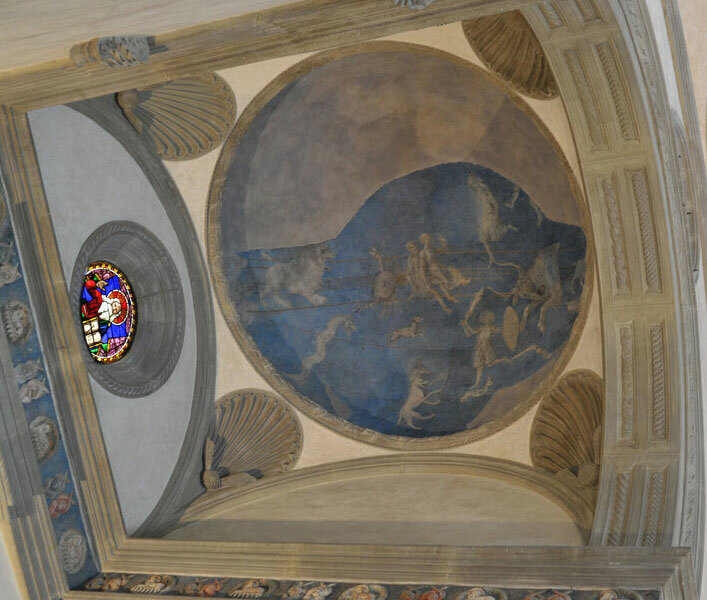 The fresco reproduces the sky in Florence on July 4, 1442. 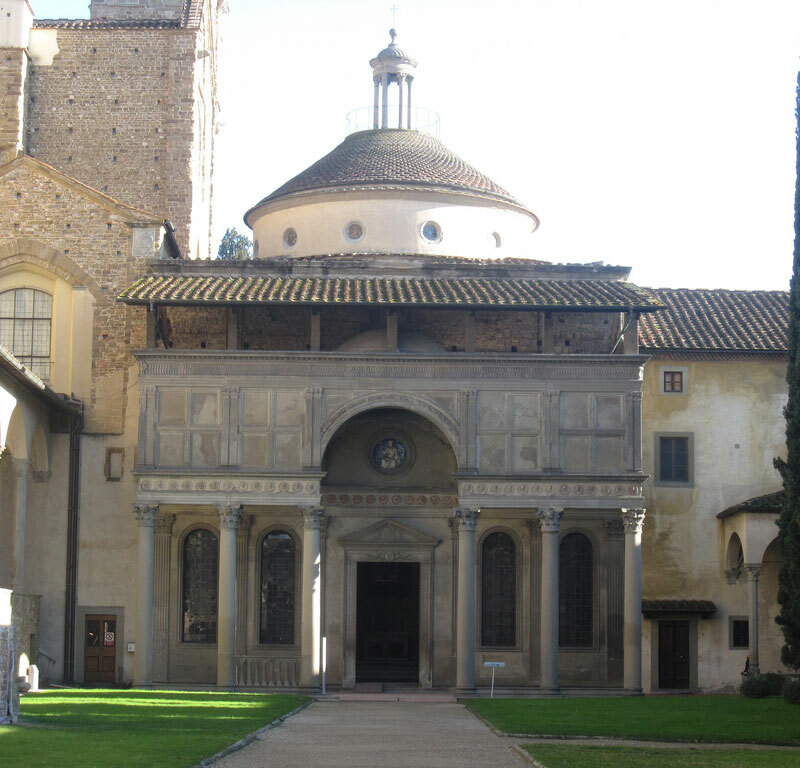 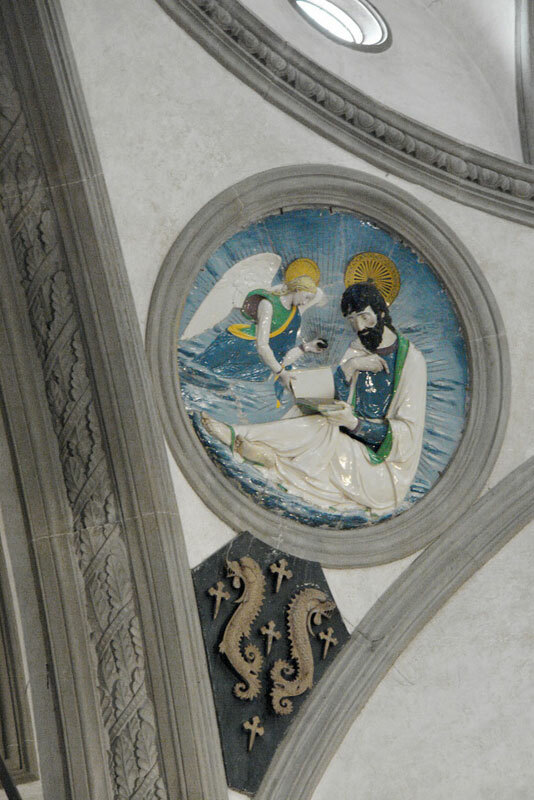 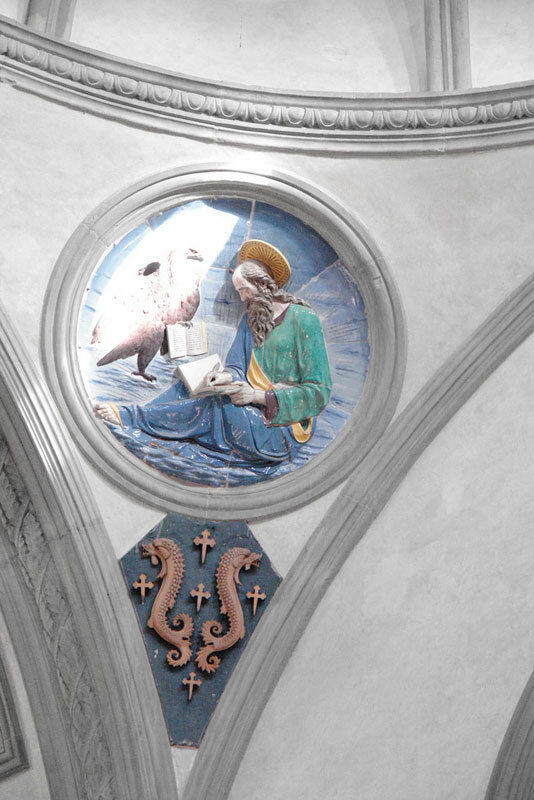 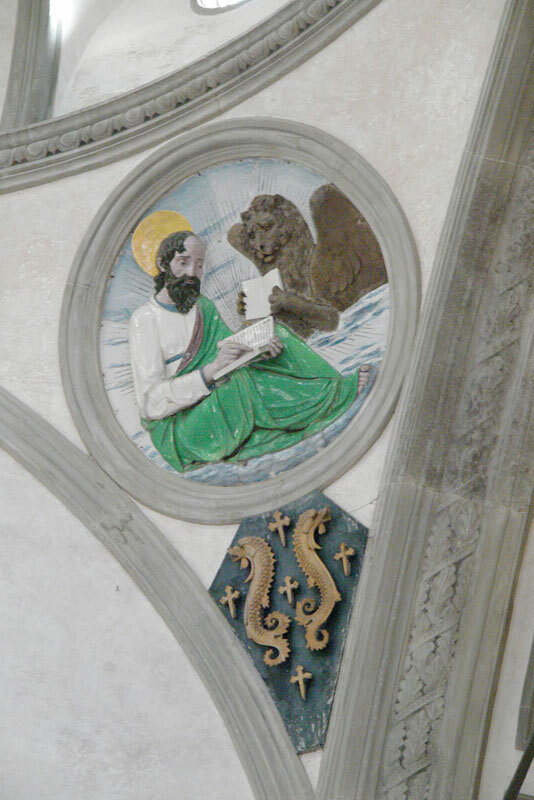 San Lorenzo in Florence from the same painter.